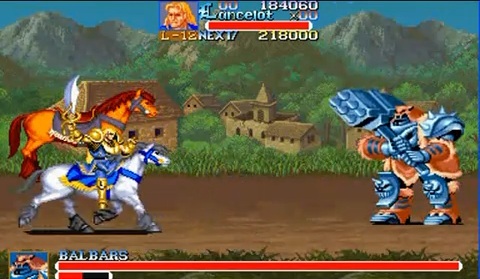 Knights of the Round is my favourite game, and I used to frequently play it back in Romania. After a lot of practice, I was even good enough to finish it with one credit. One thing I didn't like was that I never found out what the English text was saying, so that was like a little mystery in itself for me. 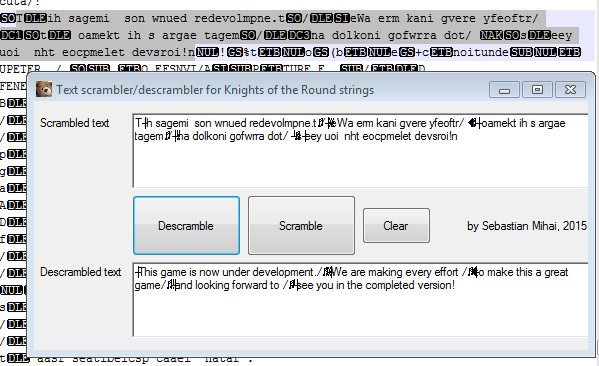 Therefore, I set out to hack the Knights of the Round ROM, and translate as much as I could of the game's text to Romanian. The only translation of the arcade ROM at the moment is my own. 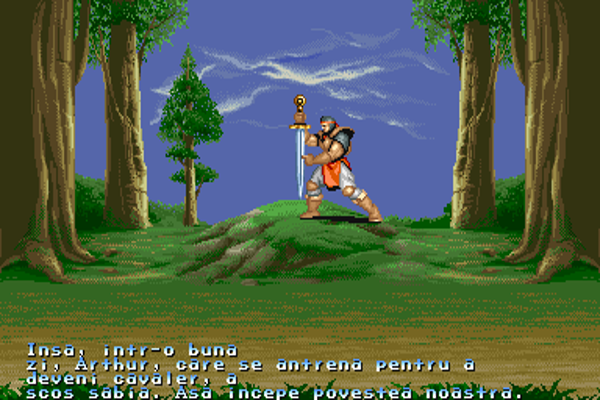 I have translated most of the text in the game to Romanian. 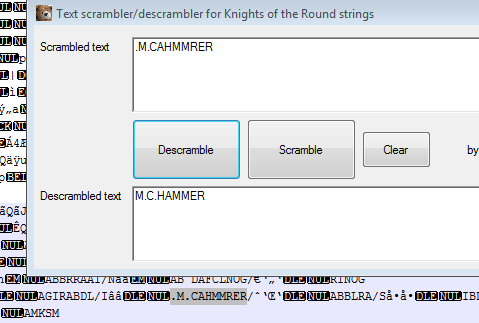 The game text is stored in plain ASCII, although it's scrambled. I found this by opening ROM files inside the .zip one by one, scanning for anything resembling English text. Also, I made some interesting findings while doing this. 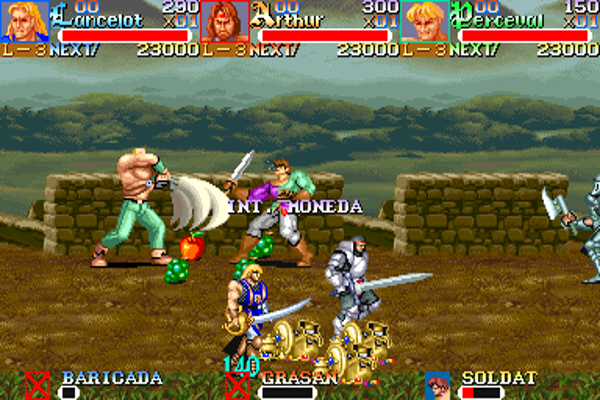 First, there is pre-release text which has been left in the release ROMs. It contains a message from the development team to beta testers, or internal stakeholders. Then, I found the text M.C. HAMMER among the boss names, very near Balbars's name. 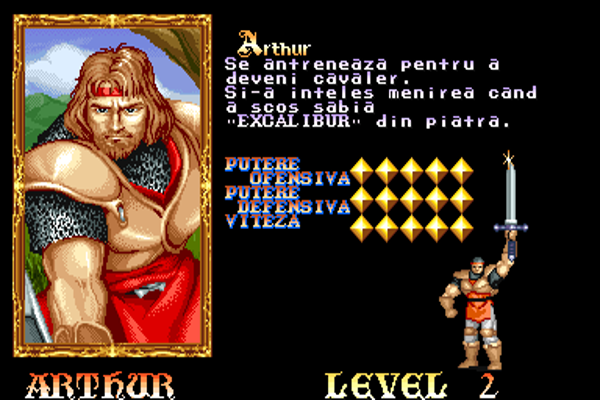 Clearly, the development team was either having some fun, or they actually intended to call Balbars M.C. Hammer before legal advice convinced them otherwise. In either case, the text remains.